PRESIDENT BUSH MEETS WITH KAREN HUGHES, CONDOLEEZZA RICE AND KARL ROVE. 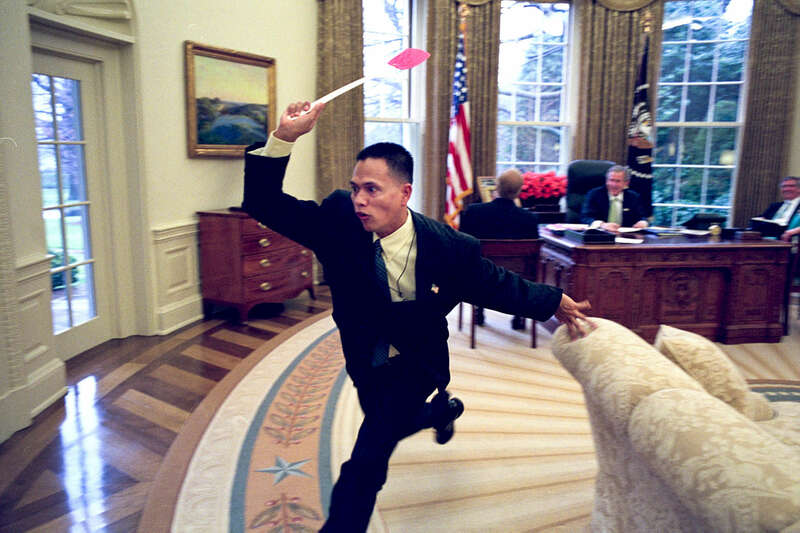 STEWARD FRED GARCIA CHASES AFTER A FLY WITH A FLY SWATTER. SEC. COLIN POWELL AND CONDOLEEZZA RICE ARE PRESENT AT THE START OF THE MEETING.